Scientists were absolutely floored by the discovery of a shark that may have been 49 years old when William Shakespeare was born. Scientists have just found what may be the oldest living vertebrate after discovering a Greenland shark in the North Atlantic that is an estimated 512 years old. That is a truly staggering age that would mean the shark was almost 50 years old before William Shakespeare was even born. Scientists measure the age of Greenland sharks – which are well know for their extreme lifespans – by measuring their size, as they tend to grow by about a centimeter per year. 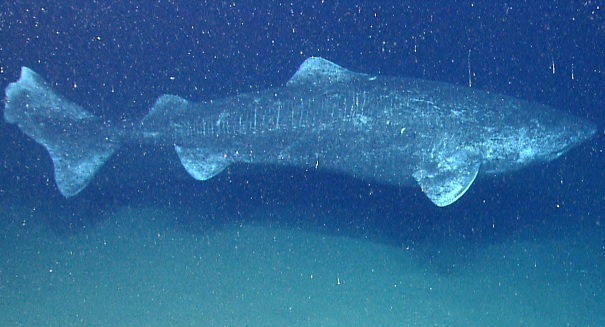 Greenland sharks grow to be quite large and eat mostly fish, although they have never actually been observed hunting. Based on its 18-foot length, scientists think this shark was born all the way back in 1505. Scientists analyzed a total of 28 Greenland sharks, and this one came in as the clear winner in terms of age. Greenland sharks typically have a life span of 400 years, so this is certainly quite an achievement for the species.